Emails - Shaping the Child parenting... because ​parenting is Not for wimps! Hey friends! It has taken a while for me to figure out the format I want to use to get information to you. I have done E-zines, Emails, Monthly articles and Newsletters! The over zealous me tried putting out an article every week, which is just too much! So after six months of working on this, I have figured out what I can do. I am now writing an ARTICLE for the month and then continuing the topic for a Monthly Newsletter. The Newsletter will not include all of what I have in the article, however the Newsletter will have more items such as games, recipes, etc. Thanks for your support and for keeping up with the new "stuff"! I know, I mentioned these feel-good hormones in the last e-mail, so do I sound like a broken record? YES!!! Why? Because these things are just too easy NOT to do! These wonderful hormones are meant to make us happy and help us bond with our family. PLAY IS A GREAT WAY TO BOND! If you are struggling in a relationship, go do some of these things to de-stress and at the same time build that bond. Go make some snow angels, have a snowball fight, or go sledding with your children. Even the anticipation of having fun with your family and loved ones can help create a bond, decrease your stress and can empower your relationships. Play is wonderful and there are many other ways to release those wonderful hormones! This is ALL fun stuff!!! You can help us by going to the website and submitting your family favorite games, crafts and activities. The Play section is still a work in progress – I would love your participation. Please, always remember to PLAY! Note: I had this newsletter pretty much done last night. I went to get an acupuncture treatment this morning. I found it interesting that my doctor said, “When you find yourself feeling stressed, just stop and give service to someone!” That is exactly the message I have written in this letter. So, for those feel good hormones – get acupuncture - be charitable for the whole year! during the three holidays at this time of year, then hopefully we can feel the benefit in our lives. Then our desire will be to continue to lift others because of the joy you receive by serving others. When we share our love and faith with our children and extended family members then it can affect your neighborhood and your neighborhood can affect your town and your town can affect your state, and on and on. It can all begin with us…it is our choice to make! Cinnamon Rolls in the World!!! If you find yourself feeling stressed, anxious or depressed during this holiday season – lose yourself in the service of others. The Church of Jesus Christ of Latter-day Saints has encouraged its membership to do at least an act of service every day from December 1st ​through the 25th. This can be beneficial to people all over the world and it is never too late to share the love for the last five days. I will bet it feels so good that you will make it a part of your everyday life! It is important to remember the true meaning of Christmas and what better way to show our love to the Savior of the World than to serve Him by serving others. ​One of my very favorite memories of Christmas is the caramel nut rolls my mother made. The smell would waft through the house and I would begin floating! That was one of my favorite scents of Christmas. I promise you that once you make these, you will never go back to regular cinnamon rolls. ​cake pan . (It should be about 1/3”-1/2” thick on the bottom of the pan. 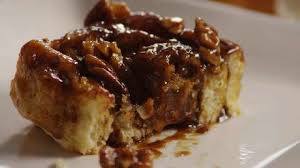 ​THEN sprinkle chopped pecans (optional – pecans are my favorite but any nut will work- or none if you don’t like nuts) Slice the cinnamon rolls about an 1 ½” thick and place in the cake pan on top of the caramel and nuts. Bake as the recipe states, usually 350 degrees. It will be bubbling around the edges and the rolls will be brown when done. For safety purposes you will want to let it sit for a little bit to cool. Then lay a cookie sheet (with sides) upside down on the top of the cake pan. Hold the handles of the cake pan and the cookie sheet TIGHT and very carefully flip over so the caramel will drizzle over the top of the rolls. This was often our Christmas morning breakfast or my birthday breakfast (since my birthday is close to Christmas). Enjoy the best Caramel Nut Rolls in the world! 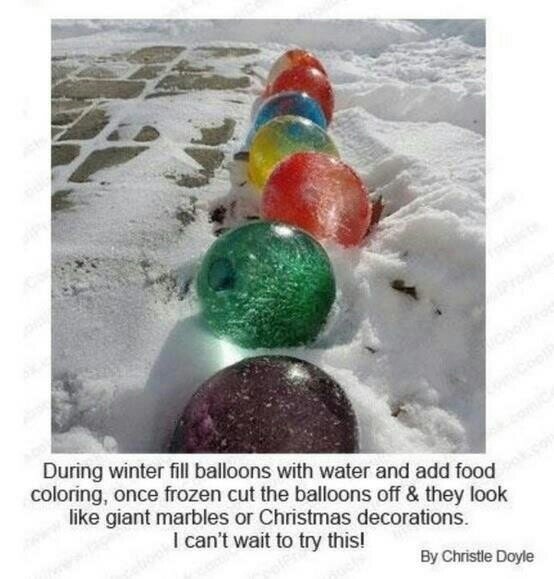 While looking for a nice Christmas story I ran across this and thought it might be a great option for you. ​I hope you will take the time to check out the newest section of shapingthechild.com Character Corner. My hope is that it will be an enjoyable and inspirational place to spend time.